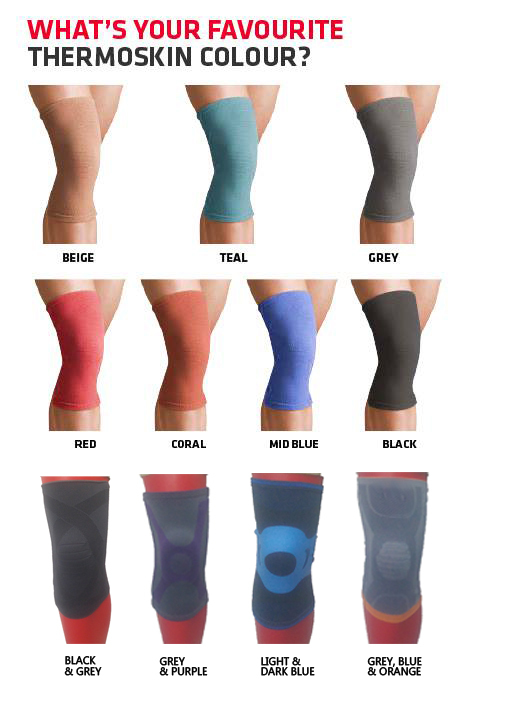 My Colour Thermoskin Facebook Survey #2 – Thermoskin – Supports and braces for injury and pain management. Your chance to win 1 of 5 Thermoskin EFTPOS Gift Cards! Thermoskin will be running a Facebook competition, open to all Australian residents from the ages of 18 and above. The competition will run from Monday 1st May to Thursday 11th May, 2017 and allow entrants the chance to win 1 of 5 Thermoskin EFTPOS $10 gift cards. Those who wish to enter will be asked to complete the survey using the link provided. Please see the below terms and conditions for the promotion, if you do have any questions please call United Pacific Industries on 03 9761 7599 or email us at enquiries@upi.com.au. Good luck to all entrants! The promoter is United Pacific Industries whose registered office is at 10 Eastspur Court, Kilsyth, Melbourne, Australia. To enter the promotion all entrants are required to complete the Thermoskin colour preference survey using the link provided, making sure to answer the final question by filling out the name and address section. This promotion is open to Australian residents only, aged 18 or above. All eligible entries will go into the draw to win, with winners being drawn based on a random number formula in excel. The prize consists of 1 of 5 Thermoskin $10 EFTPOS Gift Cards. The promoter will notify all winners over Facebook messenger and/or responding to the entrants original post, that they have won a $10 Thermoskin EFTPOS gift card. All prizes will be mailed via Star Track using standard post. Winners will be announced on Facebook on Friday 12th May, 2017. Addresses of winners to be collected via Facebook in order to send out the EFTPOS Gift cards. All Thermoskin EFTPOS gift cards as part of this promotion include an expiry date, please be sure to use these cards before the expiry date. Your email address will not be published but is required for submission. Comments will be submitted for moderation / approval before being displayed on the site.